Well, our gang does its share of goofing around; model railroading is supposed to be fun after all. But we try to minimize silliness on public tours. 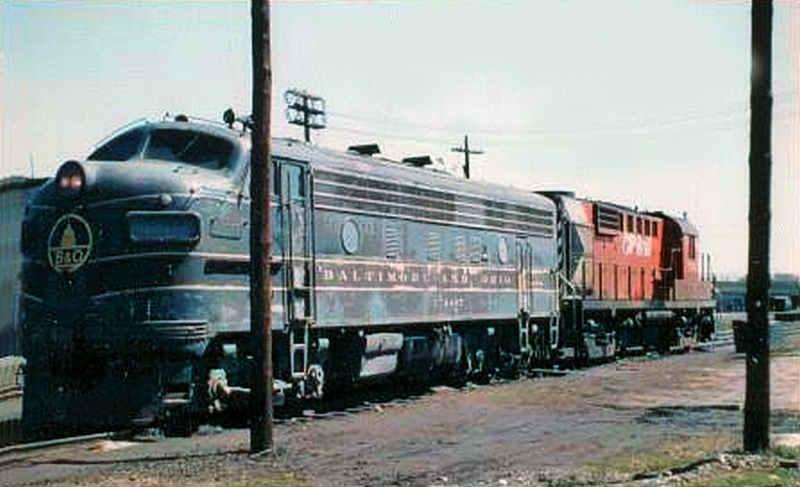 Locomotive pooling, defined as competing railroads sharing their diesels for seamless operation between properties, had been going on in the US since the 1960s. The pioneers of power pooling were the NYC + CB&Q, and the Pennsy + UP who started the practice to get their hot freight though Chicago without taking days to interchange. But power pooling was not common in Canada until more recent times, mainly due to the fact that our nation’s two major railways were already transcons who didn’t need to share power, and free trade with the US was many years in the future yet. However, in the years since the CPR retired their last steam engines in the late ’50s, they have experienced traffic peaks that outstripped their motive power capacity. Sometimes these peaks lasted for many years. That’s when Canadian Pacific needed to beg, borrow, and – in some cases – steal. Welcome to the world of motive power shortages and locomotive leasing. The CPR was leasing for most of the ’70s, but the height of it occurred in the first half of the decade. This was due to a motive power shortage stemming from the late 1960s when the Canadian government inked large contracts to export grain to the USSR and China. Additionally, Canadian Pacific began operating long unit coal trains to the newly opened Roberts Bank Superport in BC. Finally, the first generation of diesels (those that directly replaced steam) were getting tired and in need of rebuild, or outright retirement and replacement. This combination of events created a chronic locomotive shortage for CP Rail that lasted well into the mid ’70s. 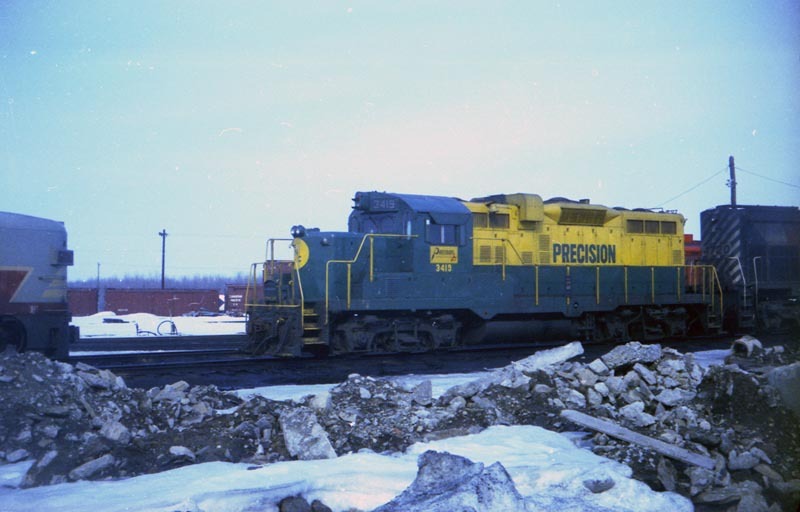 At its peak between 1972-73, the CPR had over 100 locomotives on lease. As one could imagine, leasing over a hundred locomotives from multiple sources created a serious rainbow fleet. All those colours were mixing with the CPR’s own diesels which, by the way, was going through a corporate image change itself. If anyone wonders why the WRMRC chose such a seemingly unusual modelling era like the ’70s, this was an attractive reason for choosing it. This rainbow leasing fleet offers a bumper crop of ‘Rent-A-Wrecks’ for us to model. And yes, many of them really were wrecks. 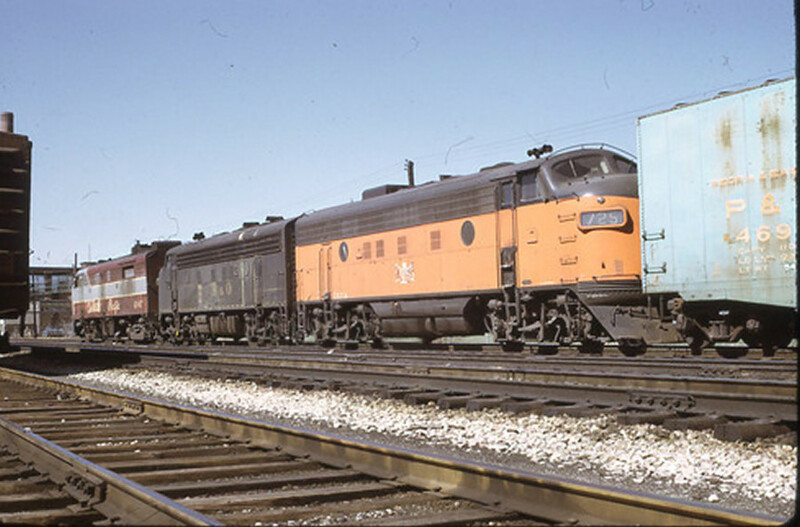 The fleet of B&O F-units leased from parent Chessie System between 1972-73 provides a good example. Chessie had these classic cab units in storage prior to leasing. A number of them never made it past Windsor because the CPR judged them to be unroadworthy and sent them back to Detroit. Of the 20 or so that were leased, many were promptly scrapped by Chessie after being returned. They were literally running their last miles on the CPR. If direct leasing wasn’t enough, the CPR was also known to… umm… “borrow” power. CP Rail did operate a pair of pooled freight trains between Toronto, ON and Buffalo, NY in partnership with the TH&B and Penn Central known as ‘The Kinnear’. During the dark days of the Penn Central era, the TH&B and PC power that lingered around Agincourt Yard over the weekends could end up on any turn jobs out of Toronto, so long as the units were returned by Sunday night. Borrowing TH&B power like this was OK, given the fact that TH&B was partially owned by the CPR. But Penn Central diesels? The bankrupt PC was in such disarray they never checked the odometers of their units to notice the added mileage. It was not until Conrail took over that anyone looked and began billing the CPR for the added mileage. The practice stopped soon after. The upshot for us is that a Saturday #955 could show up in Sudbury with pooled PC and TH&B locomotives during those times. Train 955 “the MacTier Bullet” (employee sarcasm) was a turn job running from Toronto to Sudbury, returning back Sunday morning as a 50-series 4th class all-stops local. For that matter GO Transit locomotives (properly leased) could also show up on weekends in the later half of the decade. Many of these individual leaser fleets have interesting stories themselves, and will be the subject of future blog posts. Stay tuned for more episodes of “That ’70s Rent-a-Wreck Fleet”.